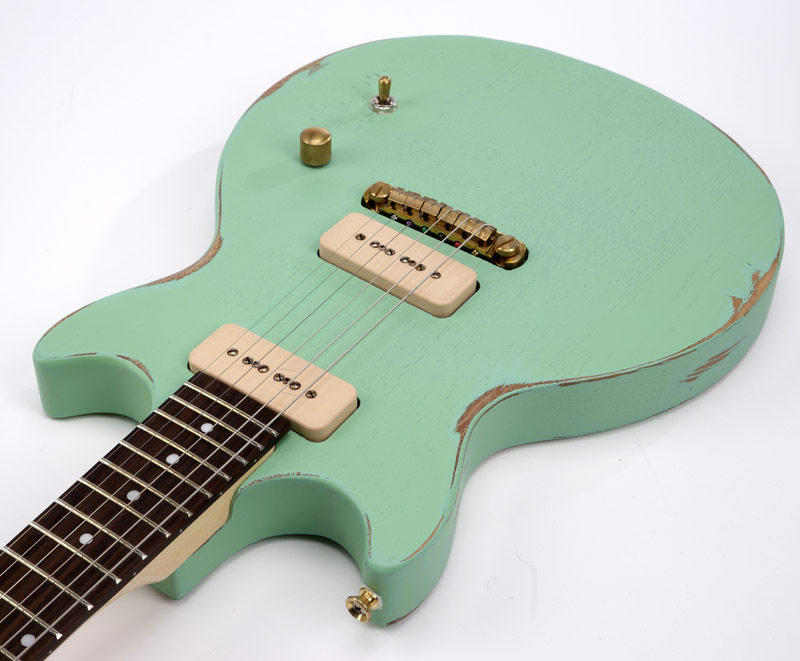 The classic Double Cut, Twin Pickup formula done up Slick Style! 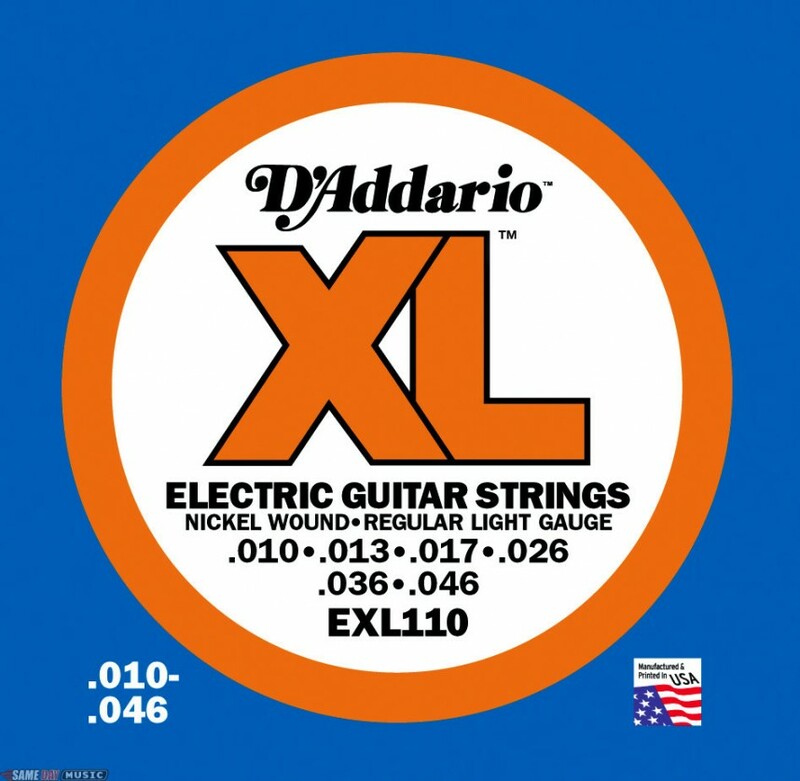 Each Slick guitar is strung with a set of New York made D'Addario EXL110 strings. 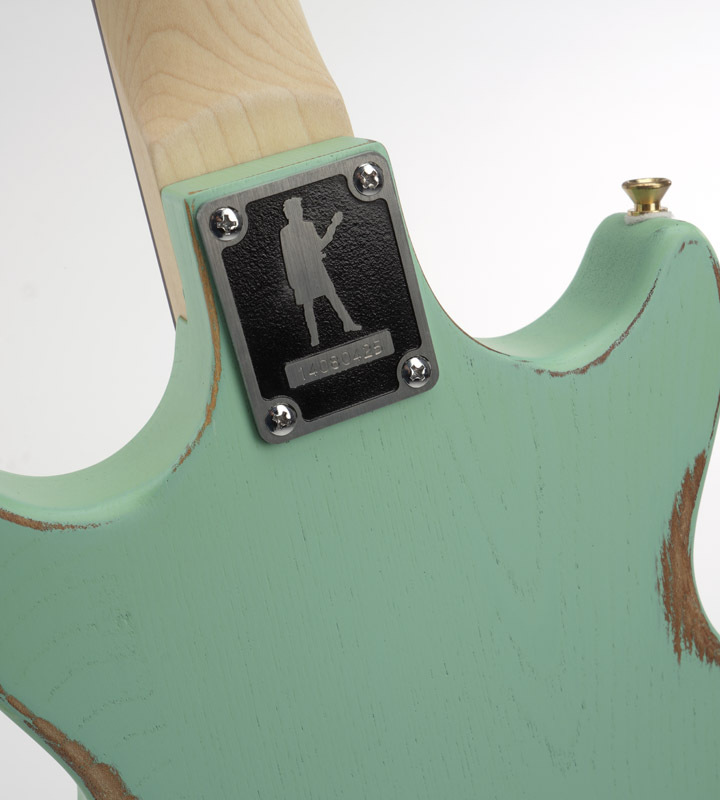 Where the Slick SL59 really distinguishes itself is with the PICKUPS. 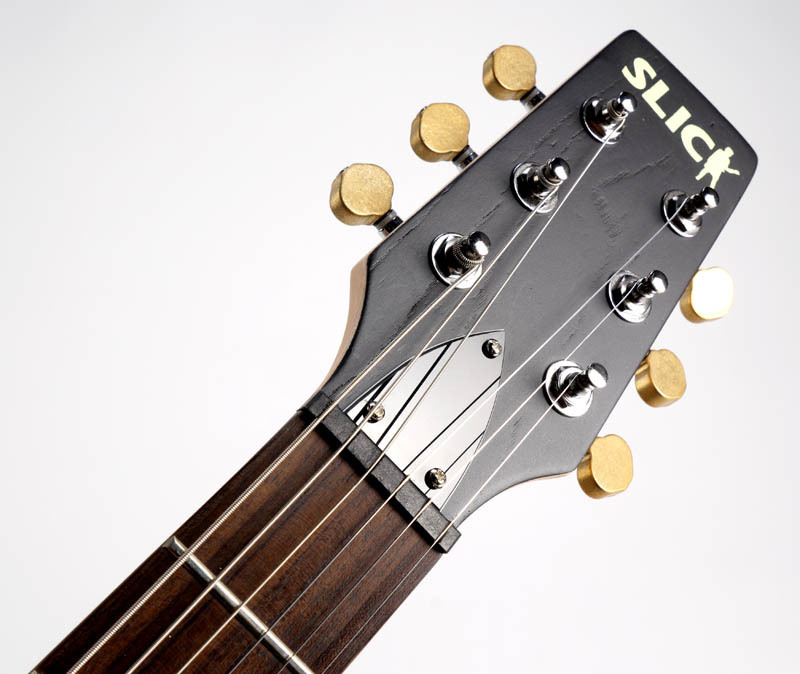 We use a calibrated pair of Slick Brand, HAND AGED "Slick Junior" ALnico V pickups. Just the right amount of dirt- Alnico V bar magnets, Delrin bobbins, Formvar 42 gauge wire, German Silver baseplate and exact vintage correct plastic cover. 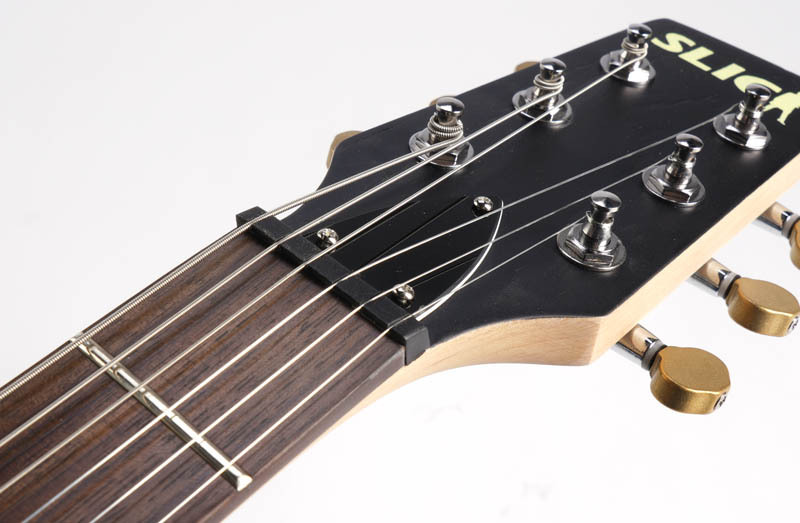 The bridge is wound BIG at 9.6K, the Reverse Wound/Reverse Polarity neck is 8.0K. 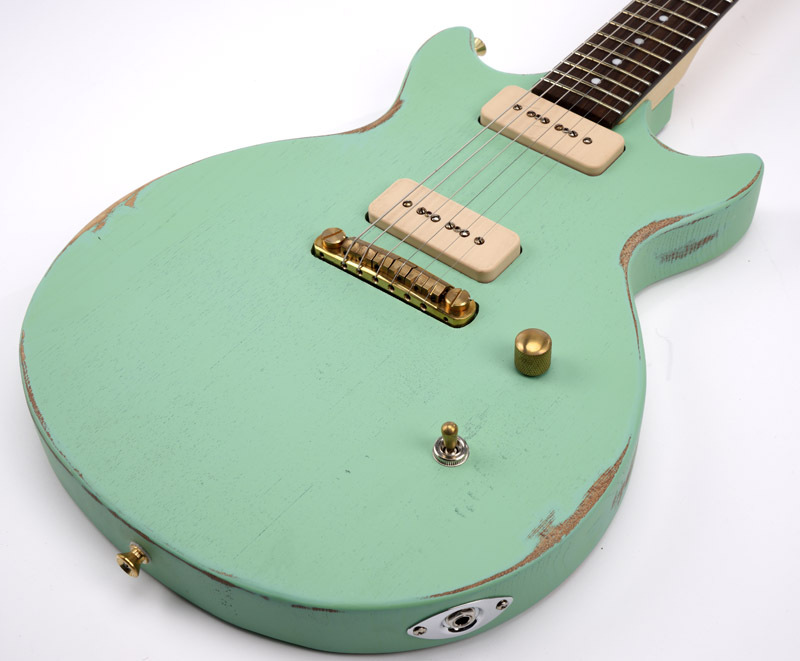 Even though these are true singlecoil pickups... in the middle position they are noise cancelling. 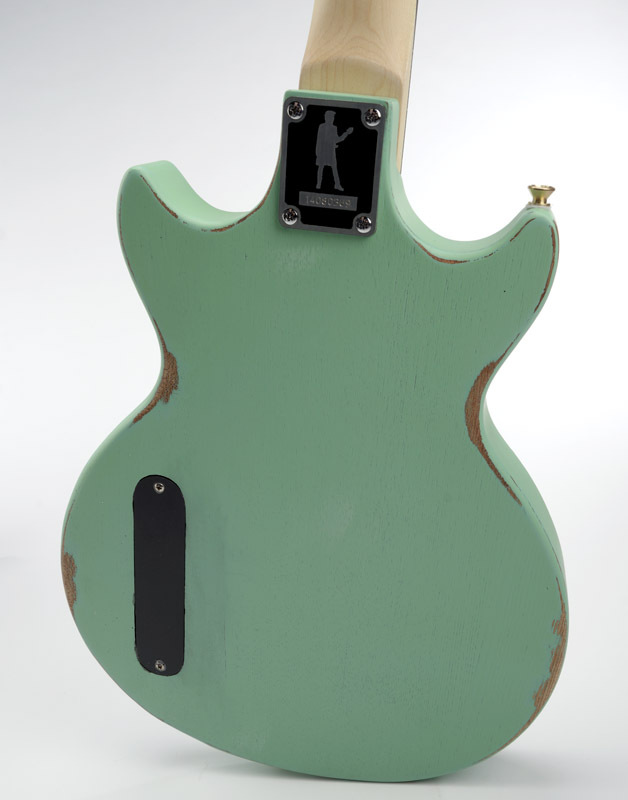 These pickups are not just built from the right stuff, but we hand age them- both cosmetically and magnetically. They look like old pickups...feels like old pickups... sounds like old pickups.